Track & Field Athletes: make sure you get information from Mr. Linner in Room B49. The season starts right after the April break. Clothing orders are due TODAY. Golf Team – There will be a meeting on TODAY at noon, for all students interested in being on the WHS Golf Team. The meeting will be in Mr. Donauer’s room @ 12:06 this Wednesday. Any students interested in playing Rugby this spring season, please attend an information session TODAY in Mr. Perry’s room! Grad programs and invites meeting today in the library at lunch. WHS Scholarship Application Form is on the WHS website under the Grad Tab. Gr 12s going to any post-secondary education in Fall 2019 can apply. Due Date is May 6, 2019. Attention to Mr. Donauer’s Christian Ethics students from term #1. Mr. Donauer would like to invite you to lunch-gathering this coming Thursday at noon in his classroom. Bring your lunch and a bring a friend as we take a few minutes to re-connect and to focus on the significance of Easter. Track & Field Athletes: make sure you get information from Mr. Linner in Room B49. The season starts right after the April break. Clothing orders are due THIS THURSDAY. SWAT – Any grade 9 – 12 students wanting to go on a canoe trip with SWAT this year should attend a meeting TODAY at 12:08 pm in Mr. Brandt’s room. If you miss the meeting please come talk to Mr. Brandt or Mr. Schmidt. Gr 12s – come vote for your speakers for your Grad Ceremony and Banquet in the Office before TODAY at noon! Grad decoration meeting today at lunch in the Library. Grad 2020 Clothing will be available to purchase on the online store in early May. The store will be open for about a week. Check announcements after Easter for exact dates. If you are wanting to attend Digitized at the U of S, you must register by Wednesday this week!!! This is a Computer Science/technology conference for high school students. Grade 10 and 11 students: Are you interested in Power Engineering and want to start on the training while still in high school? You can apply to 2 Power Engineering credits next year which meets the requirements for 5th Class Power Engineering Certificate. See Career Office for details. Deadline to apply is May 1. 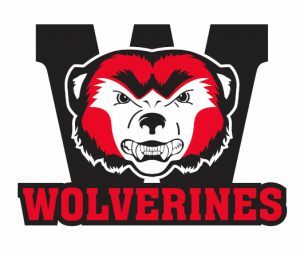 Golf Team – There will be a meeting on Wednesday, April 17th at noon, for all students interested in being on the WHS Golf Team. The meeting will be in Mr. Donauer’s room @ 12:06 this Wednesday. Any students interested in playing Rugby this spring season, please attend an information session on Wednesday, April 17th in Mr. Perry’s room! SWAT – Any grade 9 – 12 students wanting to go on a canoe trip with SWAT this year should attend a meeting on Wednesday, April 17th at 12:08 pm in Mr. Brandt’s room. If you miss the meeting please come talk to Mr. Brandt or Mr. Schmidt. SRC Meeting today at the lunch bell in Room B72. France Germany last minute meeting will follow the SRC Meeting – all student travellers be there. Gr 12s – come vote for your speakers for your Grad Ceremony and Banquet in the Office before Wednesday at noon! Gr 12s – Applications for U of S Programs in Arts & Science, Edwards School of Business, and Engineering are due May 1. See Career hallway for more information. Congratulations to the Sr. Badminton team on all winning matches at districts. Boys Singles – Kai R.
Girls Doubles – Emma H. / Alana O. Girls Singles – Paige P. who went undefeated and won the District Championship! She will be at Regionals in Lloydminster on May 3. Are you interested in careers in Data, Science, Cyber Security, Game Development, Networking or Visual Arts? Apply to attend, Digitized Career Day in the City. It is the largest one-day technology career event for Saskatchewan High School Students. See the Career Office for Information. Deadline to sign up is April 17. Track & Field Season – is around the corner. If you are interested in Track & Field this season with WHS, please come to Mr. Linner’s room in B49 TODAY to pick up practice schedules, clothing order information, and important dates during the season. Clothing orders need to be in by next Thursday to have the clothes here in the first week of the season. Girls Singles – Paige P.
Boys Doubles – Seth K. / Levi B. Track & Field Season – is around the corner. If you are interested in Track & Field this season with WHS, pleaae come to Mr. Linner’s room in B49 to pick up practice schedules, clothing order information, and important dates during the season on Friday, April 12th. Congratulations to Carter Goldsmith and Brigette Montgrand on advancing to the playoffs in badminton. Senior Badminton playoffs start at 2:00 pm today. Quick France/Germany 2019 meeting at 12:06 TODAY. Grade 12s – if you are interested in nominating speakers for your ceremony and banquet, please pick up a nomination form from the Office and return to Ms. Hall by Friday! Grade 12s – the Graduation List is posted on the Career Office Window. Food Drive: tomorrow is the last day to bring food donations! We will be finishing watching Bohemian Rhapsody today in the art room at lunch. All are welcome.